James Beach and R.C. Greig teamed up to construct this apartment on Second Avenue at Bronson in 1945. Image: Google Maps (May 2016). Due to the wartime material and labour shortages I noted yesterday, construction in 1945 was, to say the least, pokey. Where there were 55 “important” building permits listed in the 1946 Annual Report, the number was only 24 in 1945. The single most expensive permit that year was for James Beach’s apartment, located on Second Avenue at Bronson in the Glebe. 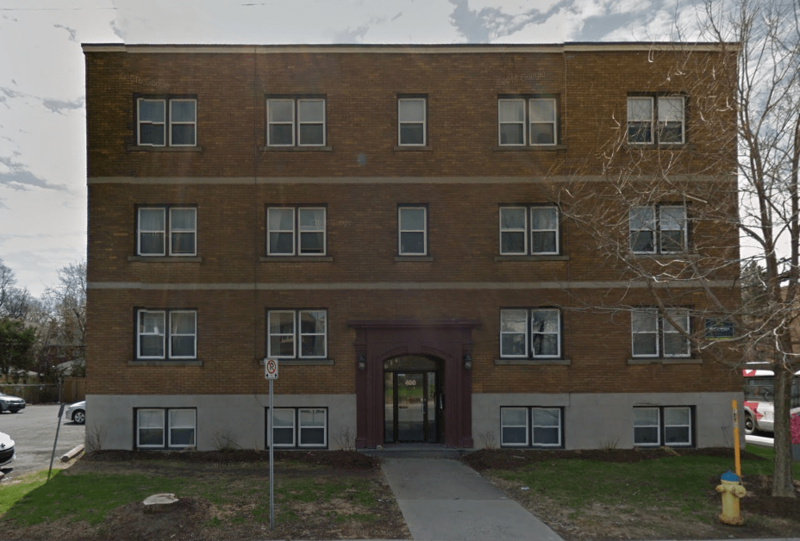 The 24-unit $100,000 apartment was completed in the Summer of 1946.1”$100,000 Apartment For Second Avenue, Ottawa Journal, November 12, 1945, p. 1.; “1946 May See Biggest Boom in Ottawa Building,” Ottawa Journal, January 12, 1946, p. 1. Beach, of course, went on to construct a number of apartments through the 1950s and 1960s. Nothing was sacrificed for Beach’s new building: the slightly off-shape lot was empty. 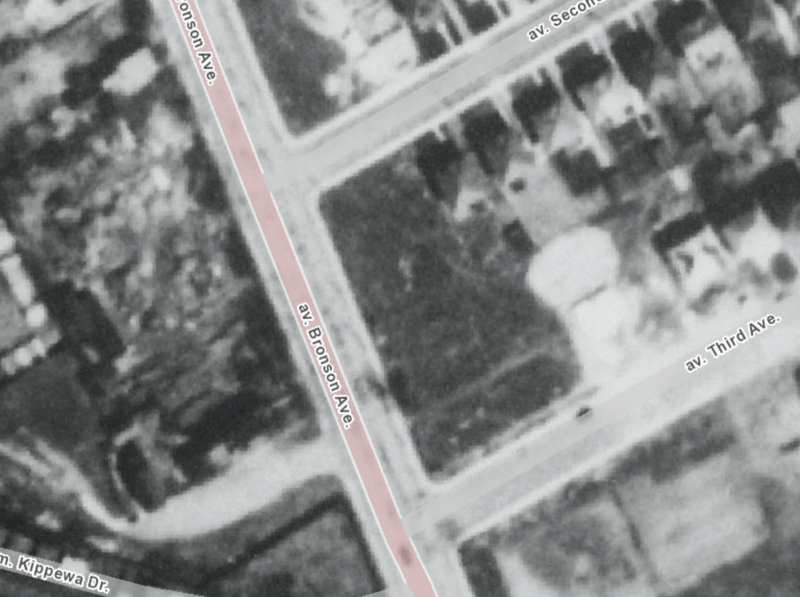 The surrounding homes in the Glebe were, at the time, quite new. Image: geoOttawa (1928). Another notable project that was permitted in 1945 is Hyman Berlin’s $60,000 Nelson Theatre, or the Bytowne Cinema, as it is known today. Earlier this year, Robert Smythe gave some of the theatres of that era a good shakeout, including the Nelson. 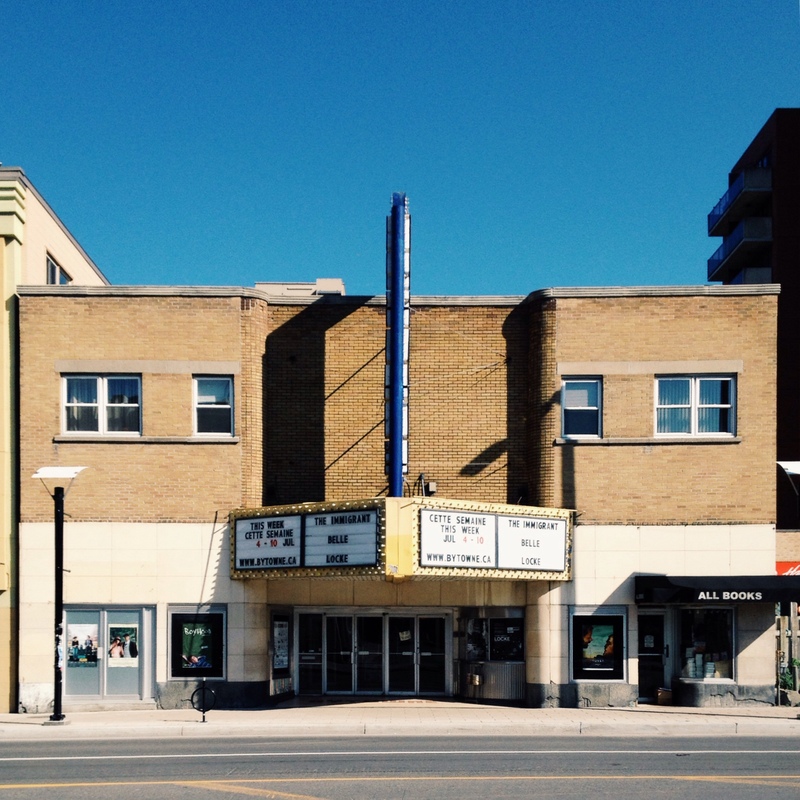 The Bytowne Theatre (born the Nelson) was 1945’s fourth most valuable building permit issued. Image: July 2014. 1. ↥ ”$100,000 Apartment For Second Avenue, Ottawa Journal, November 12, 1945, p. 1.; “1946 May See Biggest Boom in Ottawa Building,” Ottawa Journal, January 12, 1946, p. 1.